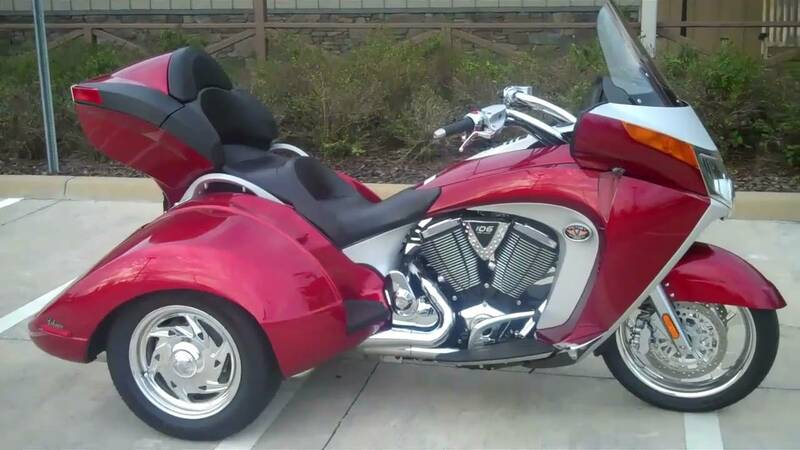 The power unit is coupled with a six-speed overdrive transmission, making the trike suitable for highway cruising, and will be accompanied by a host of other interesting features including dual-zone heated seats, heated handlebar grips, a power windshield, cruise control and an MP3-compatible AM/FM four-speaker stereo. 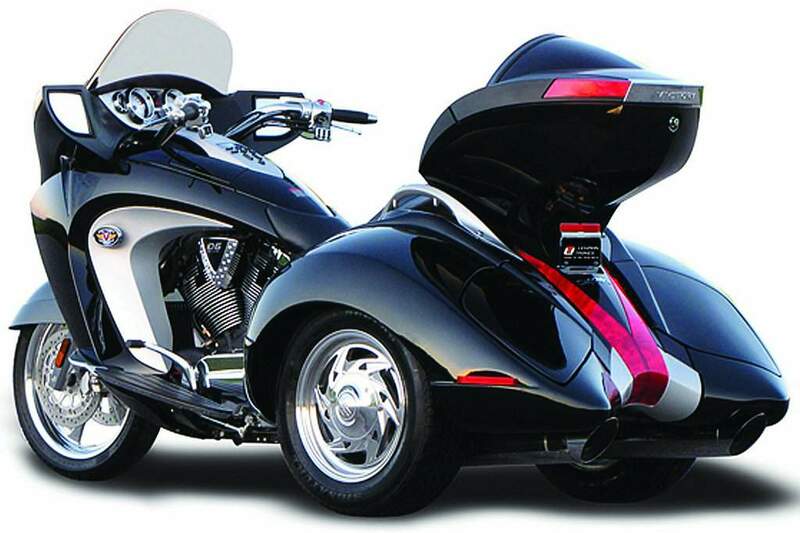 Other key features of this luxury three-wheeler include a 22-liter (5.8-gallon) fuel capacity, a full-coverage frame fairing, retained linked braking system (ABS is disabled), aggressive street-legal exhaust system, and multifunction display. Also, the trike is said to tip the scales at 538kg (1,187lbs), and measures 109 in. (2,769 mm) in length, 109 in. (2,769 mm), and has a 65.7 in. (1,669 mm) wheelbase. 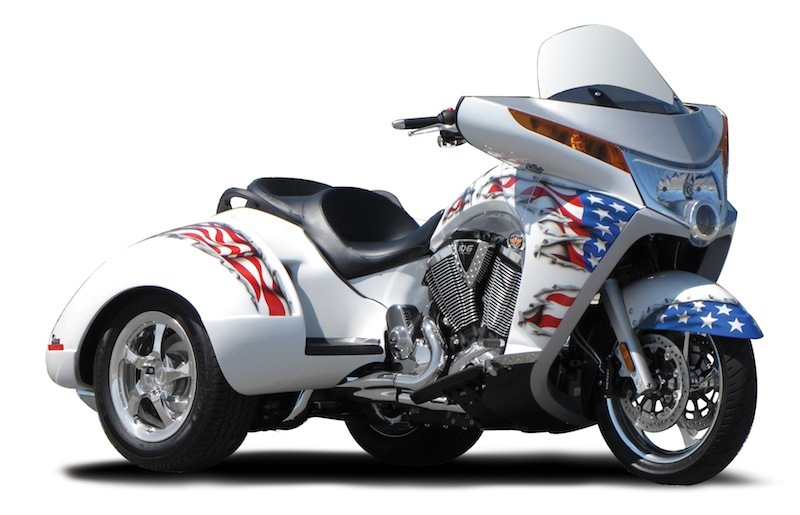 The Victory Vision Trike set to be released to the market early in 2011 in very limited numbers, with state-of-the-art technology and features such as "No Lean" suspension.